This Mother’s Day, honor the women in your life with a living tribute — one that will last longer than the traditional bouquet of flowers. 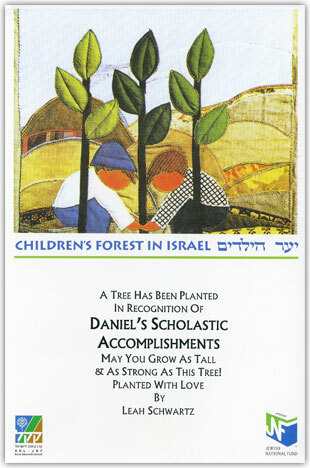 Help replant the trees lost last year in Israel. Order on the JNF website and choose the certificate to have sent to the women in your life.